With three brand new shops and state-of-the-art tools & techniques, Farm World’s trained and certified technicians are experts in servicing and repairing all equipment we sell. Using the latest in diagnostic technology and manufacturer approved processes, your Farm World technician and parts specialist can help diagnose issues to ensure you don't have a costly breakdown. 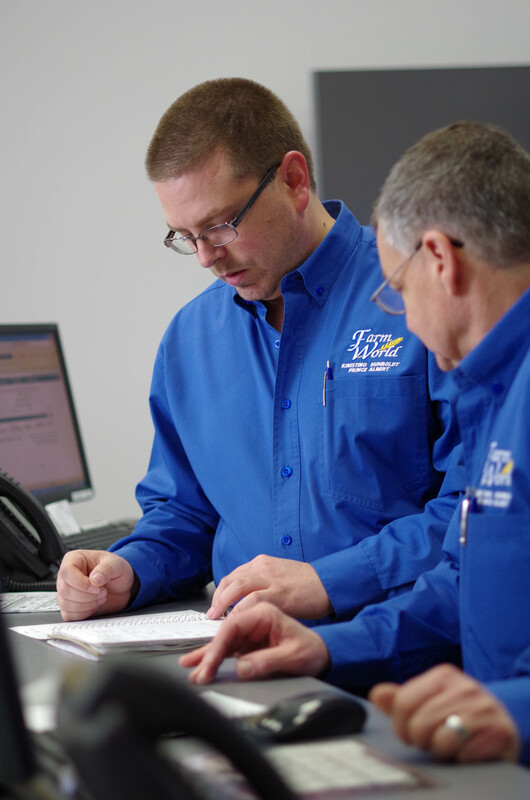 With over $7 million on-site certified parts inventory, you are assured we have the parts when you need them.